Here are two restorations I completed recently. 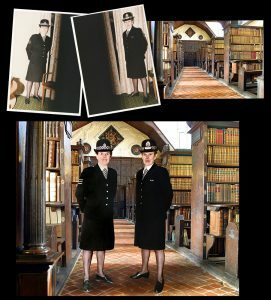 My customer had two photographs of the subject in different uniforms, taken by flash with the camera set to the wrong shutter speed so half of each photo was black. 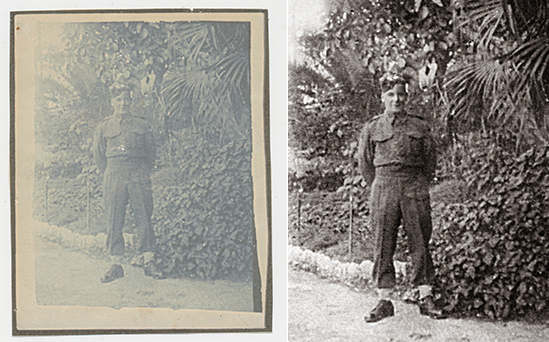 I removed just the subject from each photo, restored the images and then replaced the background in order for the finished article to look more suitable. I had some family and household expenses recently and thought them worth sharing as it illustrates what great everlasting value a photobook is in comparison. Make Your Favourite Photos Great! Here are a couple of examples of photographs we altered recently to make special photographs even more special. The photo below was taken in a ski resort but with a fence as a background, I added the ski resort. 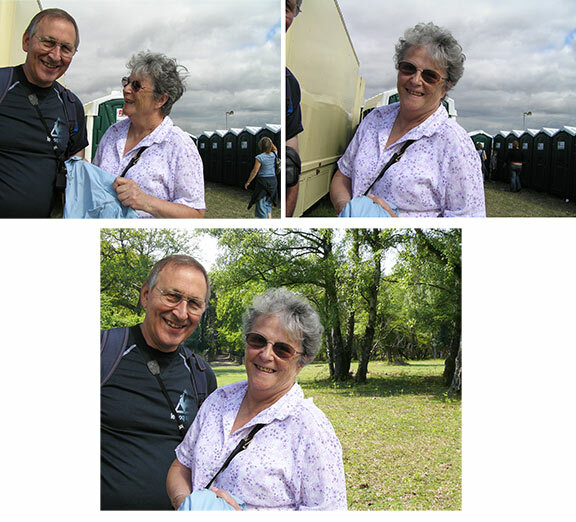 Below are the two original photographs, with favourite photos both with portaloos in the background! So I took the best portrait of each person and put them together on a background of the favourite walk they used to take together. A lovely reminder of good times. I recently restored and manipulated an image of Cookie the Pekingese at Crufts so that he could continue to have a presence. Back in January of this year, the day I feared most came along and I had to say goodbye to Cookie after the most amazing 14 years. 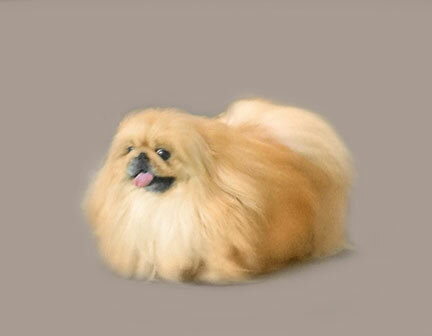 Although small in actual size, his presence was huge and the kitchen, despite having other Pekingese around, felt so empty. 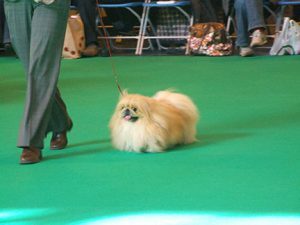 I wanted a picture of my boy in his prime, here he is in the show ring at Crufts in 2009 where he was awarded a 2nd place in a very strong class. The original photograph had to be cropped a great deal and did not have the resolution I needed for the splash-back project, but with Richard’s magic, he got us there. 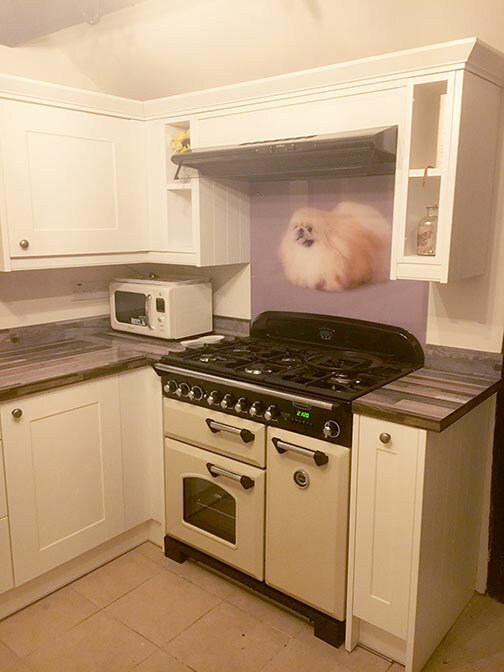 Now Cookie (or Corges Mr Cocky – his KC Show name) is back in the kitchen, with the vantage point he always wanted, he can see what is cooking!! A photo tells a 1000 words…. Hylda gazed at the photo and recalled that as a small child she listened to the minister of her church in Kingkerswell urging all the children to give a treasured toy as a present to children who would otherwise not receive a Christmas toy. Full of good intentions Hylda gave Jacko away. 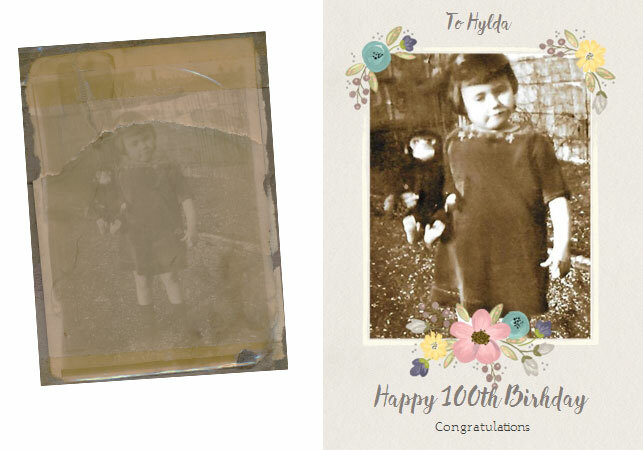 You’d be surprised (or perhaps not) at how often this leads to new conversations around old photos; a box recovered from the back of a dusty cupboard or the damp corner of a loft often leads to the rediscovery of old pictures and memories. With spring being all about new starts and rejuvenation, what better time to breathe new life into something so valuable? 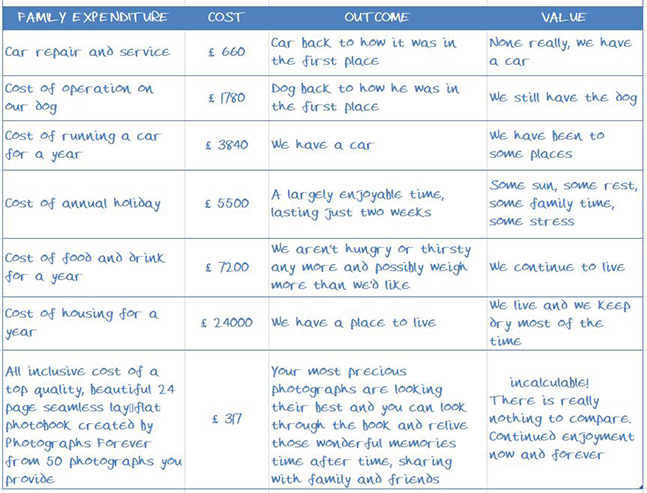 This is why I’ve created a new brochure to share with you. 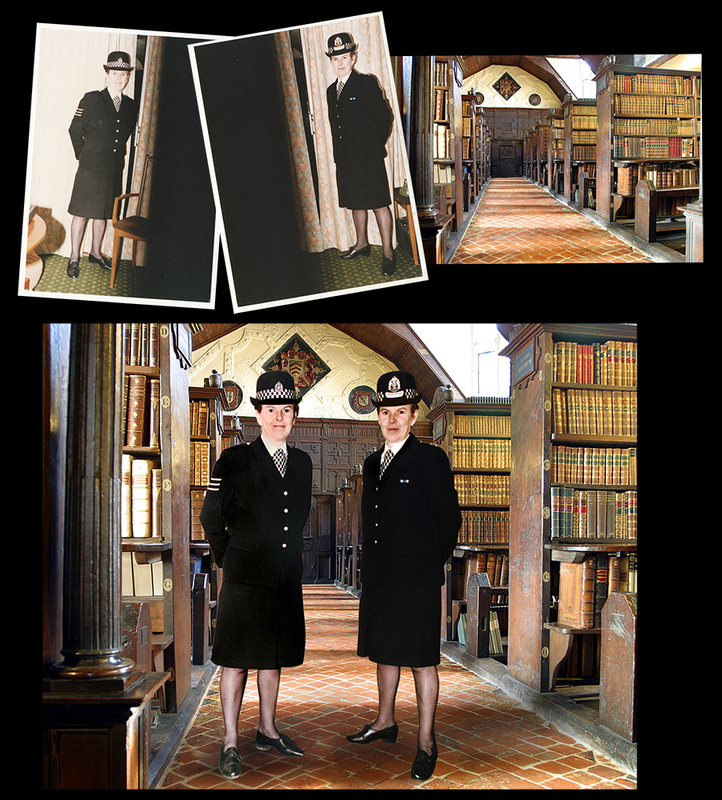 It’s a light read – with photographs designed to show you not only how your pictures can be saved; but what we can do to enhance them or turn them into new forms of enjoyment, such as our new seamless lay-flat Photobooks or large sized canvasses. 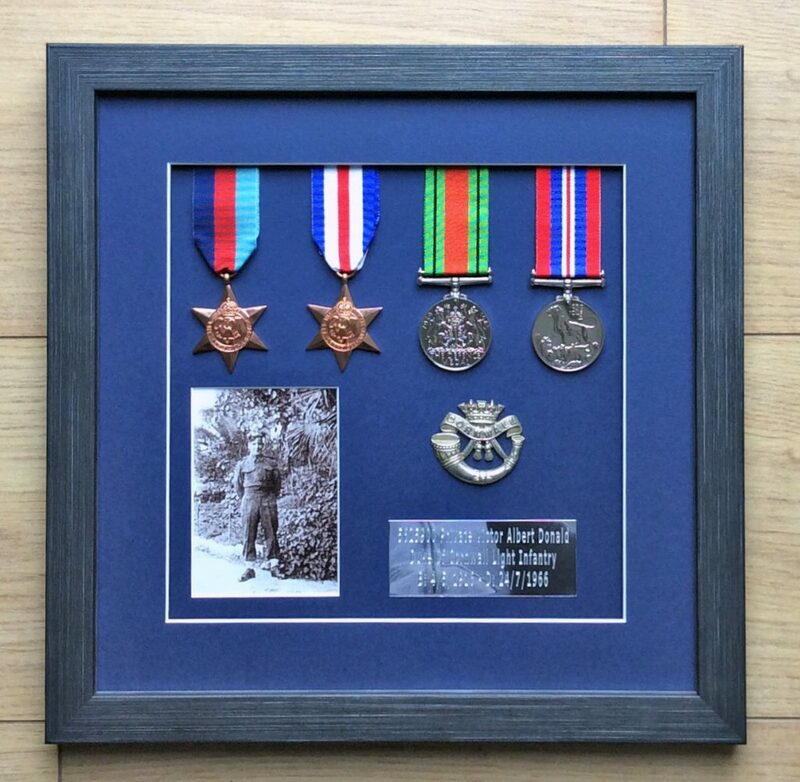 I’d love to hear what you think of the brochure and invite you to get in touch if you need help with saving your precious photographs. The brochure covers a lot but not all of what we can do, so feel free to give me a call anytime even if it is simply for some advice. 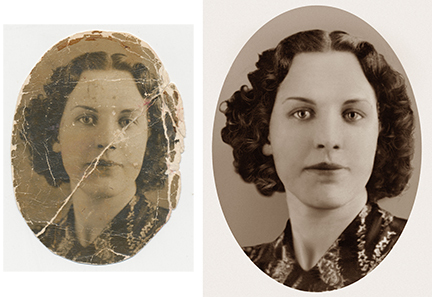 I received this photograph as four photographs stuck together and folded as that was the best way with the technology of the time. When it was restored I printed a 40inch wide print.